This amigurumi treetop creature is knit or crocheted in the round, then stuffed for baby's bed or carriage. Well-sewn on buttons or safer felt eyes make this a useful quick and easy gift for owlies. 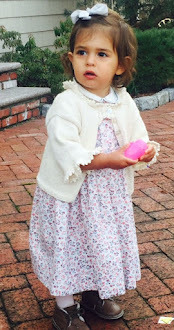 The free pattern is by Ana Clerc of Austin, TX. Knit or crochet owl amigurumi pattern, you'll find a snowy owl pattern there as well. Julie Elswick Suchomel has provided this beautiful owl sock pattern, free on Ravelry. She has used tiny bugle beads for eyes, which can be sewn in or knitted in as you go. Laura Nelkin of WEBs Yarn.com recently posted a great tutorial on knitting with beads. 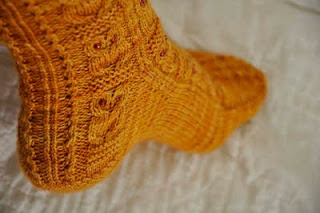 Julie's owlie sock pattern is available on Ravelry as a free download. Flappy, an owl hat with earflaps, in a multitude of sizes by Rachel Maurer has owls all around the hat with tiny little button eyes sewn on. It's made with one skein of sock yarn, 26 sts= 4 in gauge on a size 3 and 2 needles in baby, toddler, child, adult sm, med and lg sizes is a free owl hat pattern on Ravelry. 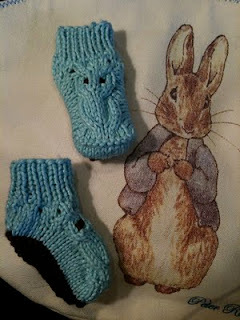 And last, but not least Ladygreyy's "Hootie Booties," a free baby bootie owl pattern by Kedi Kedi on Ravelry. 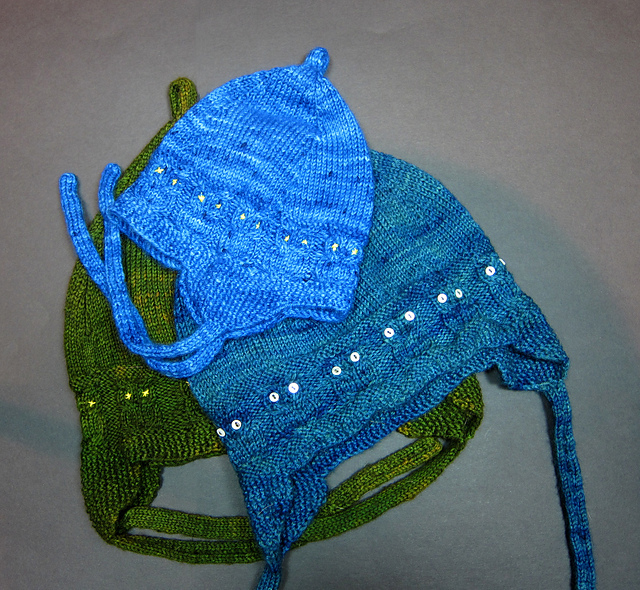 Ladygreyy is Melissa from Toledo and has several interesting patterns available at KrisKrafter. 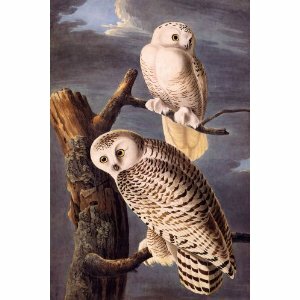 Another owl sock pattern by Philadelphia's, Megan Rogers, can be downloaded in three parts here. Baby owlet hat pattern by Wattery Totteries. 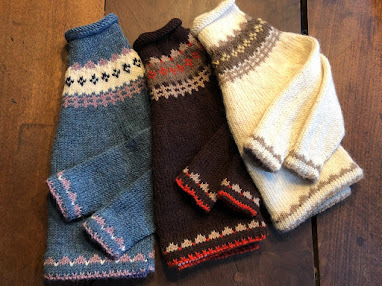 Free Owl mittens patterns for children and adults.